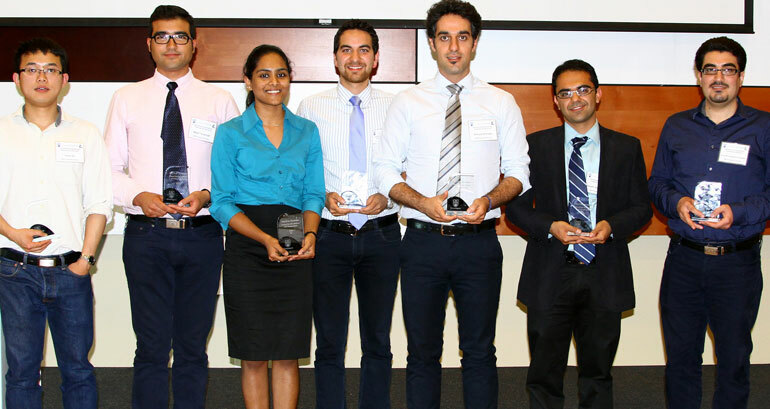 Winners at the 2015 School of Engineering's graduate symposium are: Xuan Du, Majid Targhagh, Nivedita Mahesh, Armin Rashidi Mehrabadi, Behzad Mohajer, Sepehr Zarifmansour, and Ehssan Hosseini Koupaie. It’s no secret that graduate students at UBC Okanagan’s School of Engineering can get lost in their research. With tight deadlines and endless research opportunities, quite often the students hunker down, and keep to themselves while conducting their research. To bring the students together and discuss their research, last year the students organized a Graduate Student Symposium. 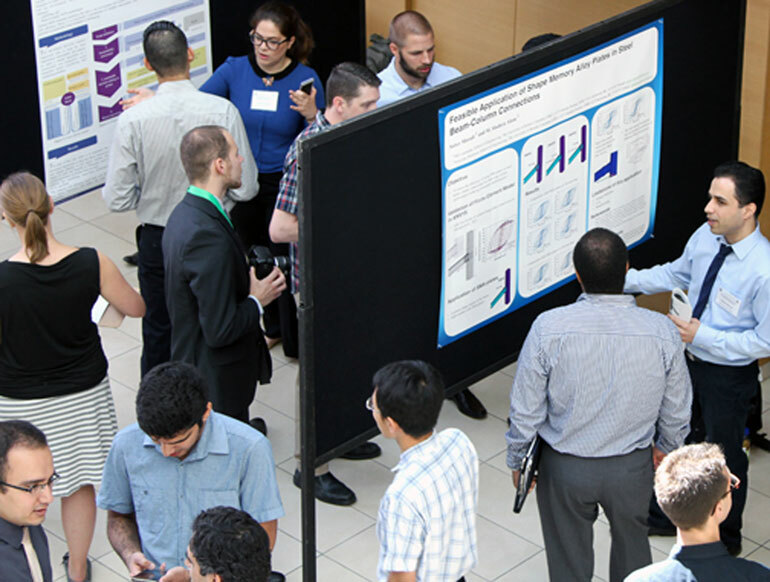 The second annual School of Engineering's graduate symposium took place on campus recently, with a number of students earning top prizes for their poster displays or oral presentations. The symposium provides a unique opportunity for UBC Engineering graduate students to share their research with their colleagues, the greater university community, and the local industrial sector, says Behzad Mohajer, PhD candidate in Mechanical Engineering and one of the event organizers. Participating graduate students are challenged to synthesize their research using a poster or oral platform presentation to make their work informative and engaging for a broad audience. The symposium helps to educate UBC Engineering graduate students and introduce them to their colleagues, collaborators, and future employers. This year’s event showcased graduate student research through 16 poster presentations and 27 oral presentations, including members of a German delegation attending the Symposium from Heillbronn University. In total more than 100 attendees took part in the day's events. UBC engineering alumnus and CEO of ENBALA Power Networks Malcolm Metcalfe gave a keynote address to the students at the dinner and awards ceremony that evening. Encouraged by what he had seen at the symposium, Metcalf advised the students to apply themselves to today's problems with an inquisitive mind and open ear — always listening for new opportunities. A total of seven SkyTrac Awards for Excellence and Innovation were presented. Civil engineering student Saber Moradi, far right, explains his poster display highlighting his research theories to improve seismic performance in buildings.